Yesterday (June 13) travelling south on Union rd in West Seneca NY near route 400. I saw, I believe was, an NS manifest train with a large number of Wheeling & Lake Erie two bay open hopper cars loaded with coal heading in to Buffalo. Could somebody more knowledgeable enlighten me were these coal cars were heading? Any chance the coal is headed to Somerset? Sounds like the coke train that's been running. Yes, probably coal for the coke plant in the Town of Tonawanda (near the South Grand Island Bridge). Coal for Somerset would be in hoppers equipped with rotary couplers (usually have one end painted yellow, or with a yellow stripe). nydepot wrote: Sounds like the coke train that's been running. Two bay hoppers? Didn't those stop being used like 35 years ago? 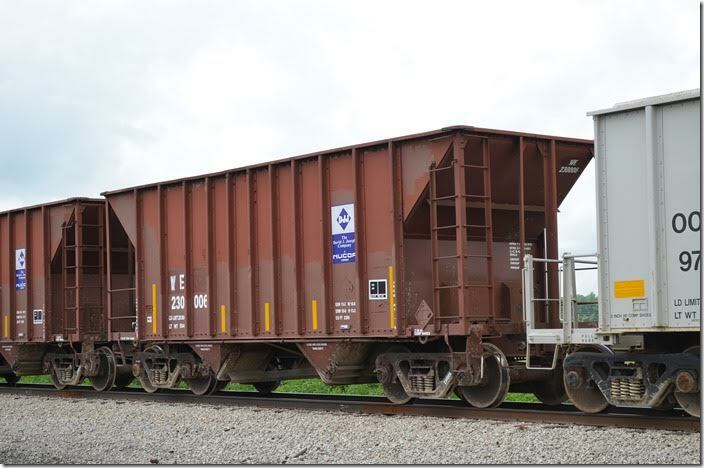 I saw 2 bay hoppers on several trains while I was out in Bellevue, OH last month. I can't speak to the car in the pic. But 2-pocket cars are quite common in some services hauling product of a dense or heavy nature. For example, ground sand has more weight per cubic foot than corn. If you filled up a common grain hopper with powdered cement it would be overweight. Smaller cars usually indicate a heavy or denser commodity. Pretty sure nobody is using these hoppers anymore. But the title of the thread says coal hoppers. 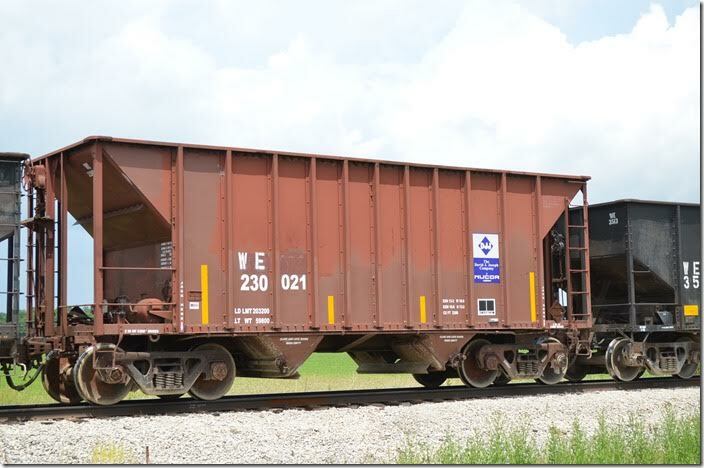 2 bay coal hoppers? Have been obsolete for nearly 40 years. I guess it helps to read the title, I forget sometimes you need to spell stuff out like you're dealing with young children. I see a couple 4 bays in there but all the rest are 3 bay. Seven pages on there of roster shots of WE hoppers. lvrr325 wrote: But the title of the thread says coal hoppers. 2 bay coal hoppers? Have been obsolete for nearly 40 years. I guess it helps to read the title, I forget sometimes you need to spell stuff out like you're dealing with young children. Two separate and distinct topics in the same thread. But like you said, sometimes you gotta spell it all out, or folks miss that. Don't worry, it's not you. lvrr325 wrote: Pretty sure nobody is using these hoppers anymore. They have more modern looking two bay hoppers like these. I assume cars like these are what the subject of the thread is about.